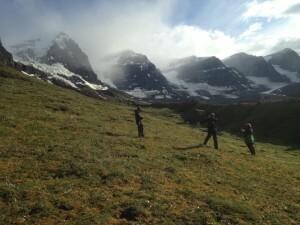 This edition of Outdoor Explorer comes to you from the backcountry of Wrangell St. Elias National Park. Earlier in the summer, Charles flew with friends to a mountain pass in the massive, incredibly spectacular Wrangell mountains where they spent an extended weekend on dayhikes in the alpine environment, near the Russell Glacier. We’ll learn about the park, the trip, and how you can do a backcountry adventure in this amazing park.